Montigo Resorts has been one of the top travel destinations for Singaporeans since 2012. As more and more people choose Batam as their destination for weekend holidays, ferries between Singapore and Batam island became busy and crowded. Now that Montigo Resorts decided to provide its own ferry services to its guests. 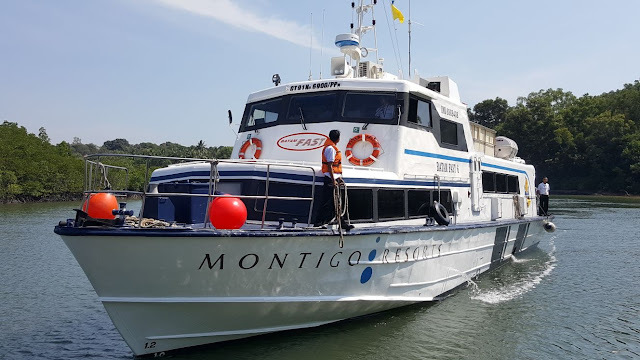 On Oct 28 2017, Montigo Resorts launched its first-ever ferry service. The service is open to public as well, but guests of Montigo Resorts are provided with priority boarding, and express immigration clearance at the Nongsapura Ferry Terminal. Managed and owned entirely by the resort, the ferry can occupy up to 85 people. It will shuttle between Tanah Merah Ferry Terminal in Singapore and Batam Island’s Nongsapura Ferry Terminal. For booking of best price Montigo Resorts Packages, simple click here to PM WeekendGoWhere on facebook messenger or call our service hotline (65) 63584231 (9am to 6pm weekdays, 9am - 5pm Sat). Booking of Montigo Ferry is also available through WeekendGoWhere.